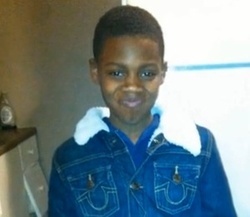 Update: A nine-year-old St. Louis boy who was shot in the head in an early morning drive-by incident on Wednesday has died, police say. Our original coverage of the shooting is below. Police officials have identified the homicide victim as Tyrese Short who lived on Switzer Avenue in the North Pointe neighborhood in St. Louis. Cops say the boy was shot while sitting in the passenger seat of a car with his father and two other males, ages eighteen and 22. They were driving at around 3:30 a.m. on Goodfellow Boulevard by Laura Avenue when an SUV allegedly drove up behind them and a shooter with a handgun opened fire, shattering the rear window — and hitting the young boy in the back of the head. This entry was posted in Boy, Dead, Missouri, Uncategorized on July 10, 2013 by usgunviolence. GARY, Ind. 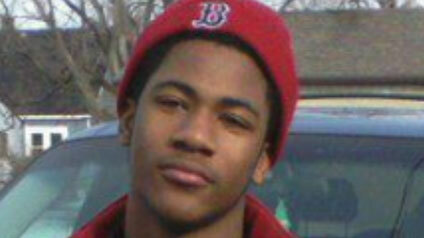 (STMW) – A Gary teenager died Saturday morning after he was shot, according to the Lake County Coroner’s Office. Antoine Taylor, 19, of the 400 block of Grant Street, was pronounced dead at 5:32 a.m. after he was taken to Methodist Hospitals Northlake campus. The coroner’s office ruled Taylor’s death a homicide. It was unknown Saturday afternoon where the shooting occurred. Gary police were not immediately available to provide additional information. Taylor was driving with a friend down Fifth Avenue about 9:50 p.m. Friday when he spotted two men walking in the middle of the 500 block of Delaware Street, police said. Taylor got out of the car and began talking to the two unidentified men. This entry was posted in Dead, Indiana, Man, Uncategorized on July 5, 2013 by usgunviolence. GALLATIN, Tenn. – Investigators have released the identity of a man found dead in a Sumner County driveway. They’re hoping someone with information will come forward to help them find a suspect. Detectives with the Gallatin Police Department identified the man as 26-year-old Carl Bost. They believe Bost wandered into Jessie Carter’s yard late on West Eastland Street Friday night. 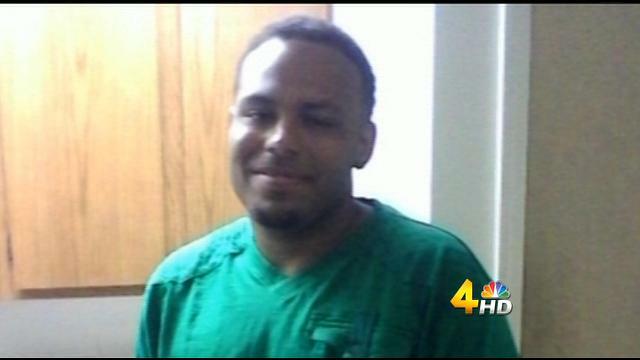 Gallatin police continue to search for who shot and killed a man back in July. Police told News 2 Carl Bost, 26, was found shot and killed around 9 p.m. on July 5, in the front yard of a home on West Eastland Street. No one reported hearing gunshots in the area that evening. This entry was posted in Dead, Man, Tennessee, Uncategorized on July 5, 2013 by usgunviolence. Indianapolis Metro Police were out in force with extra officers on targeted patrols as tens of thousands of people celebrated the holiday downtown Thursday. Despite the extra police presence, violence broke out and a young life was taken. An Indianapolis mother is grieving the loss of her 16-year-old son and pleading with the community to help catch his killer. Monquize Edwards was found shot near Meridian and Maryland Streets at about 11:30 p.m. Thursday night. Fox59 News learned that Edwards was watching the fireworks downtown on top of a parking garage along Delaware Street. When the fireworks were over, Edwards started walking South towards Meridian and Maryland. That’s when a fight broke out. The fight ended in gun fire and Edwards was hit. police nearby responded to the scene, but the gunman took off. Edwards was transported to Wishard Hospital where he later died. This entry was posted in Uncategorized on July 4, 2013 by usgunviolence. Osceola County detectives are now treating a death investigation from July 4 in Poinciana as a homicide. 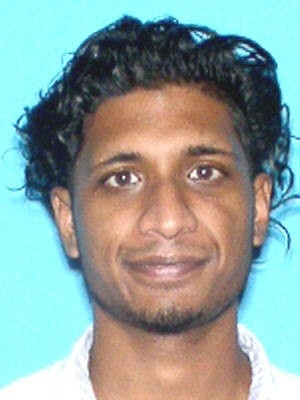 Detectives said 22-year-old Eric Roopnarine’s mother found him dead in their home on Mendoza Lane. Investigators said he died from a gunshot wound. This entry was posted in Dead, Florida, Man, Uncategorized on July 4, 2013 by usgunviolence. The man killed in an early morning apartment shooting Thursday morning has been identified. Mohamud Muhyadin Farah, 26, died as a result of a gunshot wound to the chest according to the Hennepin County Medical Examiner. His death was ruled a homicide. Farah was shot and killed just before 3 a.m. on the 3000 block of Grand Avenue South in Minneapolis, according to the medical examiner. This entry was posted in Dead, Man, Minnesota, Uncategorized on July 4, 2013 by usgunviolence. TRENTON, Mo. — A 24-year-old northwest Missouri man is charged with killing a man and dumping a car with his body inside in a pond. Trenton County authorities say Jameson Read of Trenton is charged with second-degree murder in the death of 54-year-old John Vencill of Trenton. Police Chief Tommy Wright says Read was charged after Vencill was reported missing on Friday night. Wright alleges Read shot Vencill several times at Read’s home in Trenton. Wright told The St. Joseph News-Press that Read dumped the victim’s vehicle in a farm pond in a remote part of Sullivan County. Police recovered the vehicle Saturday with Vencill’s body inside. This entry was posted in Dead, Man, Missouri, Uncategorized on July 3, 2013 by usgunviolence.